ZipPay – Own it now. Pay it later. 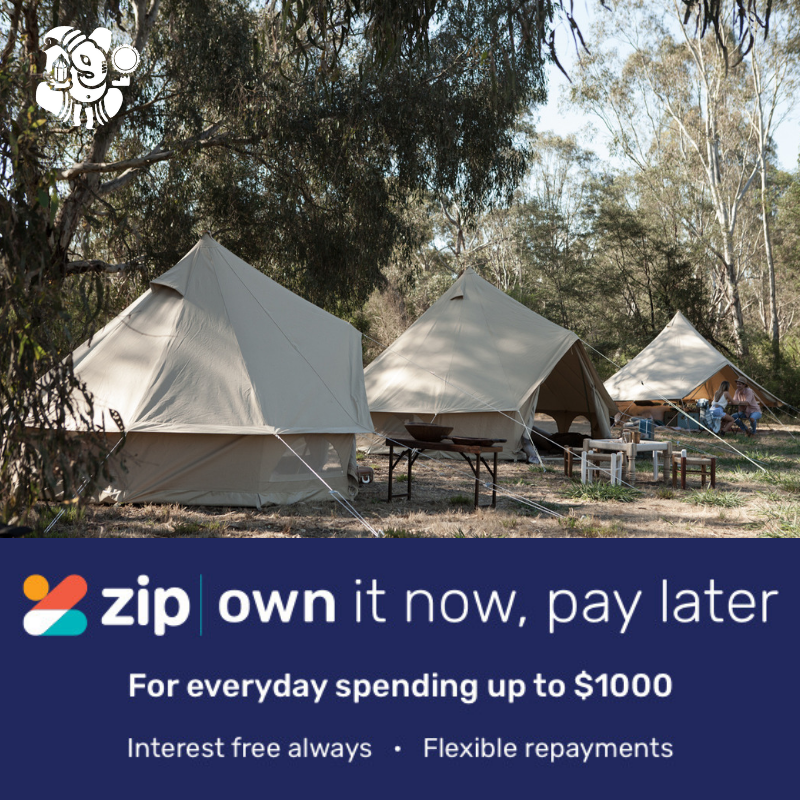 Psyclone Tents is excited to now offer ZipPay – a new payment option allows you to pay for your order over four instalments – up to $1,000 interest free. Just select ZipPay as your payment method during checkout. Then login to your ZipPay account to process the payment. You can get approved for up to $1,000 within minutes. A $6 account fee applies, this monthly fee is waived if the closing balance is paid by the due date. No balance, no fee. ZipPay offers interest free payment plans for your online purchases. You buy what you want today, receive your order just as normal and pay it off in four equal, interest free instalments. Schedule payments weekly, fortnightly or monthly. Minimum $40 per month. Ready to start using ZipPay? Visit our shop now to see what’s in store. If you’d like to read more, visit the ZipPay website here for a comprehensive list of FAQs. If you have any queries about your ZipPay account, please contact them directly at hello@care.zip.co or call (02) 8294 2345.